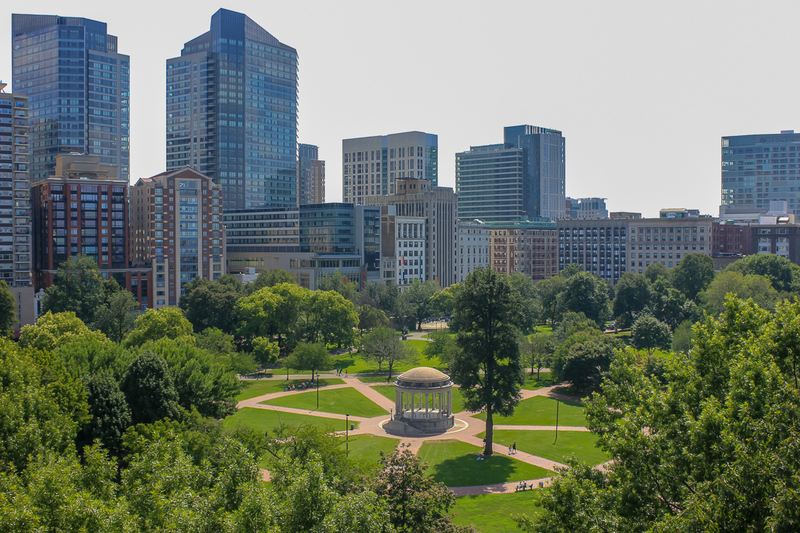 On January 17, 2019, Mayor Martin J. Walsh and the Boston Parks and Recreation Department announced a new Master Plan for the Boston Common in collaboration with the Friends of the Public Garden. A major tourist destination, cultural beacon, and neighborhood park, Boston Common is one of the most treasured green spaces in the world. Weston & Sampson design studio was selected to lead the master planning efforts. Led by Gene Bolinger, RLA and Cheri Ruane, RLA, our landscape architects will work closely with our civil, structural, and infrastructure engineers, environmental site professionals, and stormwater experts. With a collaborative teaming approach, our plan is to deliver creative, innovative, and technically sound plans that can withstand heavy use, New England weather, and the test of time. As America’s first park and an oasis in downtown Boston, we envision a resilient Common – increasing capacity for existing and future historical tourism, recreation, and programming. Overall, we envision an atmosphere of civic access and engagement with a profound sense of place. Read more about this project in recent articles in Boston Magazine, The Boston Herald and The Boston Globe. Posted in News, Press Releases, Top News and tagged landscape architecture news.